Black’s Law dictionary defines “utility patent” as “the customary type of patent issued to any novel, non-obvious, and useful machine, article of manufacture, composition of matter or process.” A utility patent is one of three separate types of patents that the United States Patent and Trademark Office (USPTO) can award inventors, with the other two types of patent being: (1) a design patent, which protects only the way a tangible product looks (see also Design Patents 101); and (2) a plant patent, which protects a new variety of asexually reproducible plant. It is, however, possible that a utility patent will last longer than this twenty years. For example, if Patent Office interjects delay into the patent examination process the patent owner will receive additional patent term added. Further discussion of the topic of additional patent term, whether by patent term extension or patent term adjustment, is complex and goes beyond the scope of this article. See MPEP 2710 and MPEP 2733. To obtain a utility patent a utility patent application must be filed at the U.S. Patent Office. 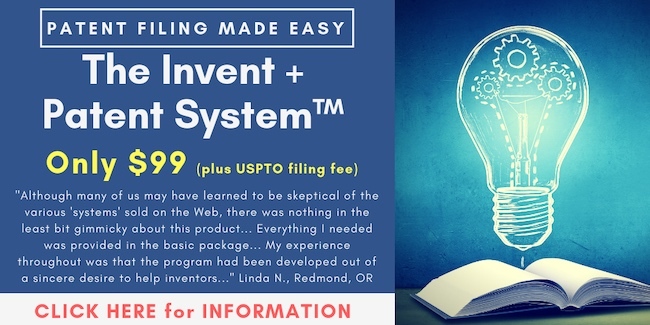 Many inventors will choose to start the process toward obtaining a utility patent by filing a provisional patent application first and then within 12 months filing a non-provisional utility patent application. Whenever you hear the term “provisional patent application” you should generally be thinking about a utility patent application because you cannot file a provisional patent application for a design. In other words, design patent applications and provisional patent applications are unrelated. More specifically, you cannot claim priority to a provisional patent application when you file a design patent application. In the previous paragraph the term “non-provisional utility patent application” is used. This may seem unnecessarily redundant, and through common usage it may be. Generally speaking when most inventors talk about a non-provisional patent application they are referring to a utility patent application. Technically, however, design patent applications could also be characterized as being non-provisional patent applications, and so too could plant patent applications. Most inventors are not inventing asexually reproduced plants, and in fact last week there were only 31 plant patents issued and since the 1930s there have been fewer than 28,000 plant patents issued all total. Because you cannot file a design provisional application, almost universally when a distinction is being made between provisional patent applications and non-provisional patent applications the conversation is about utility patents.